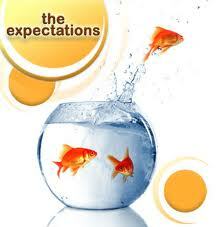 The best way to prepare your new customer for the Juice Plus+ Experience is to set their expectations. You and they will know what to hope for, even to expect. 2. Customers forget how they used to feel before Juice Plus+; this provides a comparison as theJuice Plus+ Effect becomes their “new normal”. 4. 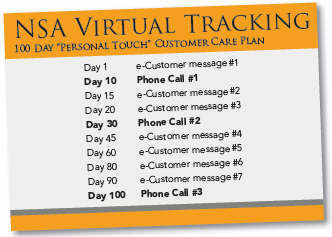 During your follow-up phone calls you can remind your customer WHY they started taking Juice Plus+ and encourage them to be consistent. A life-long customer is worth the investment, so getting a customer is just the first of several important steps. Developing a great relationship with each customer, based on their unique needs, will go a long way to making you successful in this business. That relationship is key to your customer gaining full value from Juice Plus+ and delivering full value to you and your business. 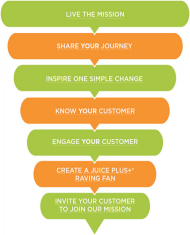 Customer Care is at the core of the key goal for your JP+ Virtual Franchise: to build a base of 30-40 customers who are each ‘Raving Fans’ of Juice Plus+. On the way to becoming a Raving Fan, Juice Plus+ will increasingly be at the top of your customer’s mind when it comes to nutrition. This happens IF they are having a good experience, not only with the product, but with the company and with YOU as their Juice Plus+ Representative. Customer Care starts before and extends throughout the process of getting and keeping a Preferred Customer: Your Story, Invite and Share, Followup and Education. If you are already familiar with this first stage then study Engage Your Customer. document that Julie refers to. Customer Care begins with our first conversation, our Story and our answers to a prospect’s questions, because these set his or her expectations for Juice Plus+ – what will happen when they take it. If those expectations are either too high or too low, then we will not be happy with the outcome and neither will they. They need to be excited but realistic. The Juice Plus+ Company has always operated by this principle: “under-promise and over-deliver”; as Juice Plus+ Reps. we live by it too. We ‘under-promise’ when we avoid avoid making unrealistic claims (like most of the advertising we see every day!). We ‘over-deliver’ when we far exceed the customer’s expectations with both our service and the quality and effectiveness of Juice Plus+. Ask Questions and then Listen; most people crave the opportunity to be truly heard, they will appreciate you listening well. Use these Tips for Getting “Yes”. Provide new customers with the benefits of the JP+ Children’s Health Study and the Juice Plus+ Experience (see below). Ask them if either or both of these options would suit them. These programs provide complimentary product, enhance their experience, and increase customer retention – they help us “over-deliver” and create Raving Fans. 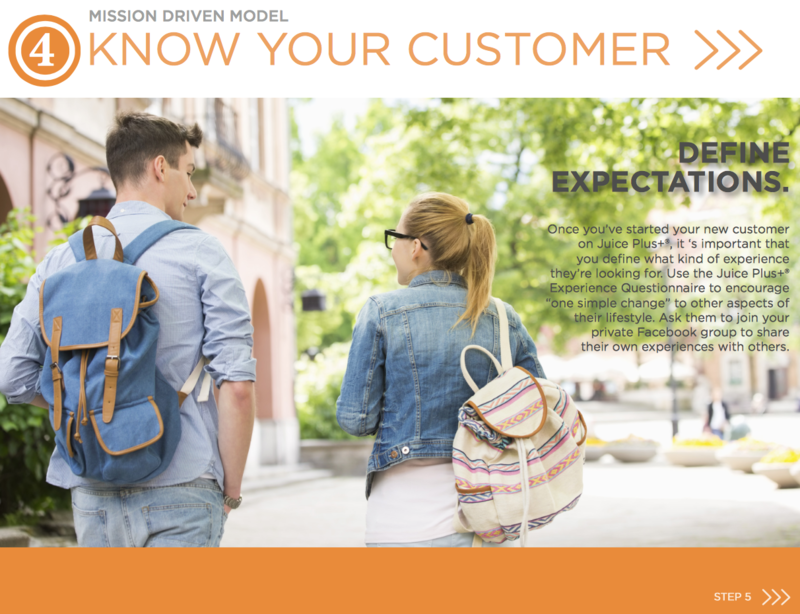 Complete the New Customer Questionnaire with your new customer – a vital tool for setting and managing a customer’s expectations, setting them up for success. It’s vital that the true Value of Juice Plus+ is established in your customer’s mind during the first 4 months. At the end of 4 months, if they don’t understand that the value of Juice Plus+ far exceeds the cost, they will not continue; that will be a loss to them and to you! You customer’s best chance of becoming a Raving Fan and continuing to take Juice Plus+ is when they take it consistently every day – then they will develop the “Juice Plus+ Habit”. Your Welcome Email is the first step towards this goal. You can ask if it would be ok to remind them. If so, how often would they like to be reminded to take their JP+ over the first few weeks, and how? (Email, phone, facebook, text,…) You can stop your reminders after a week or two. Remember how long it took you to get ‘into the habit’! Throughout the first 4 months there is no substitute for personal contact, so a quick phone call every month or two works wonders. NSA’s “Virtual Tracking” emails remind you and suggesting a great approach. Your Preferred Customer Genealogy Report is emailed to you monthly – use this valuable tool to ensure the best possible care for your customers. We prefer to email our new customers using this Welcome Email. It’s important to advise your customer to start slowly; since they often don’t read emails (properly) you should call them to make sure they start slowly. Here’s some advice on that and more from Dr. Mitra Ray, dispelling several common myths about how and when to take Juice Plus+. Having completed the New Customer Questionnaire before they start taking Juice Plus+, your goal is to work with them so their Juice Plus+ Experience exceeds their expectations.